Note: Some features shown in the marathon are not included in the current release. One of those features is online/networked multiplayer. There is no concrete release date for that. Buttons, checkboxes, dropdown menus, input fields and scrollbars work now. Great improvement from my previous tile selection. I was actually still using the same tile selection code that I wrote way back in January when this started. Now there's a nice editor menu with tabs and stuff. The filters at the top and the sorting things don't work yet. All in good time. 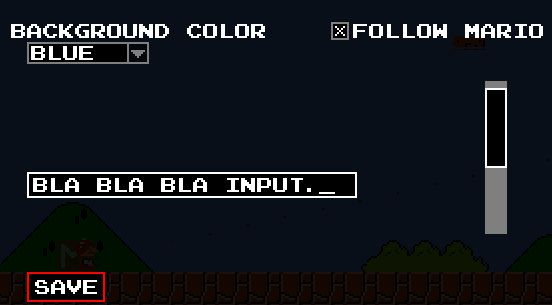 Since this is made in Lua, I have to make all the menu elements myself, so here's dropdown menus. Also backgroundcolor choice. 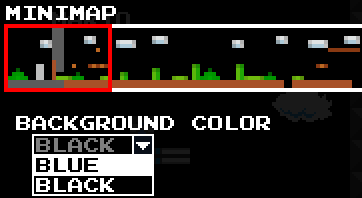 Today's feature was actually GUI elements, but then I didn't have time to add more than a single checkbox and I noticed that I never showed off the minimap which is way cooler, so whatever. Timers that take an input and stay activated for as long as the map creator specifies. Did you know you couldn't place portals on the same block? No? Well then I did a pretty good job of hiding that fact. But no more hiding, it's possible now. Who needs splitscreen when you have ONLINE MULTIPLAYER? Only players are currently synced, everything else is completely clientside. This will also work for local network without problems. The other guy in the video lives about 800km away. The very first steps of networking. Client connects to server, handshakes, gets player list. Sending commands over already works too, but no game synching whatsoever. White gel! If you don't know what white gel is, it makes surfaces portalable. I had to speed up the gif because it was huge but I hate making youtube videos. There's some features where there simply isn't much to say about them. This is one of them. It's fireballs. Half of the flag animation. I will probably do the rest later. Because you need an exit as well. More classic SMB stuff! Disco Mario is best Mario. 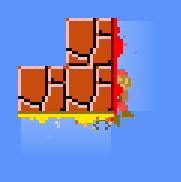 Again, hammers don't kill enemies in SMB, but it makes sense in Mari0. Right back at ya! 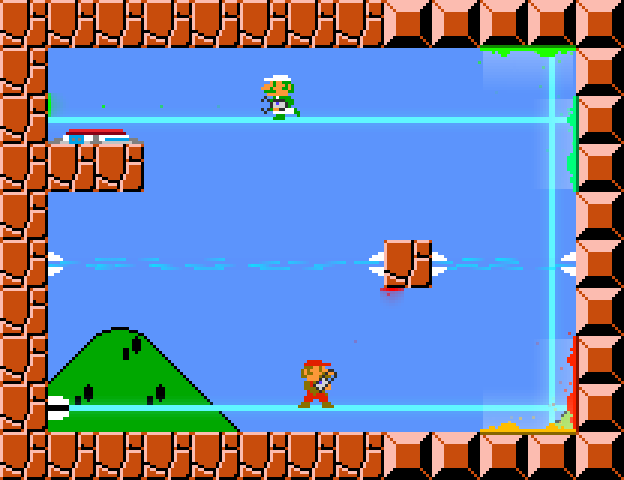 They don't actually kill enemies in SMB, but it makes sense with portals. Plumbers gonna plumb. And for that he needs pipes. They had worked before but broke when I revamped the physics two months ago, though they never had an animation so that's new. 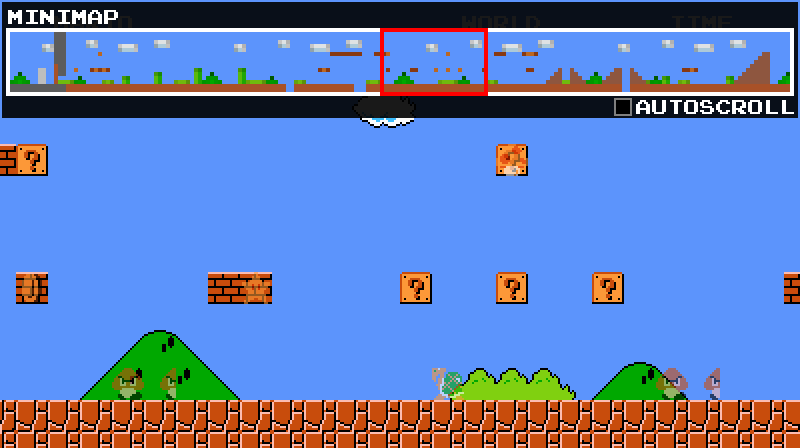 In multiplayer, they will behave like in New Super Mario Bros. Wii (Haven't written that yet. I don't think I even need to write anything though, it should work right now). Because dynamic splitscreen is the best kind of splitscreen. 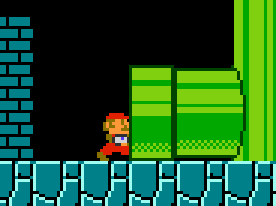 Notice how cool the part with luigi shifts to the right when mario portals himself back to the start? I didn't program it like that on purpose, but it's still awesome. 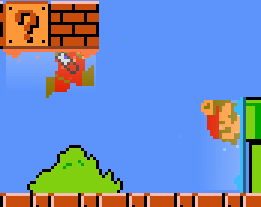 Have some big mario jumping around without a care in the world. 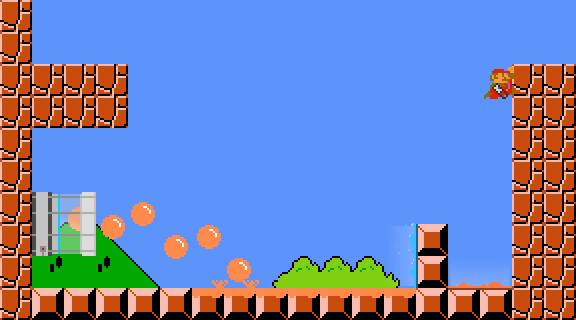 Killing enemies by jumping below them, as well as making mushrooms jump by doing the same. Also invisible blocks. After posting the Test 3 video, everyone was like "You missed the one-up!" but in truth I couldn't get it because they didn't work at the time. So here we go. Notice how the crosshair-line goes through before I hit it. 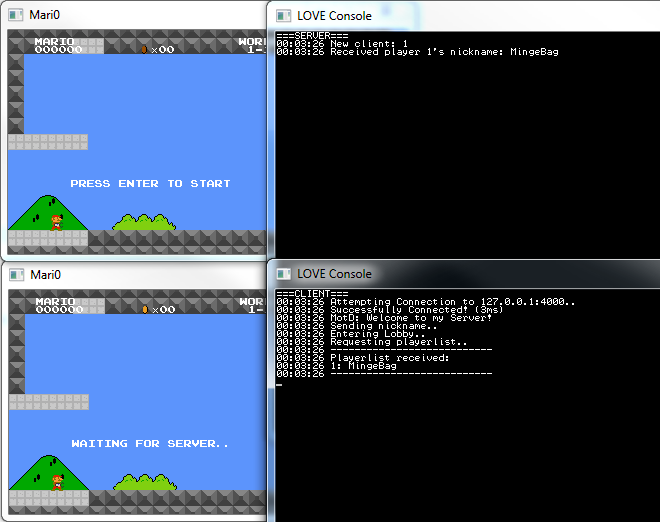 Being able to run across one block wide is another thing that a SMB clone could potentially miss; but not us! We're pros, remember? It's only 24 lines of code, but I also got some other, smaller things fixed and done today so I don't even feel bad. Customizable skincolors for each player + custom portal colors. This only affects colors in multiplayer. It's not saving and loading yet, I'll do that later or tomorrow. As promised, you will be able to play the mappacks we feature on our server. I wanted to polish the design a little more, but we had problems getting the client to display the png from the server. Useable buttons (and with that, a use system). Also boxes now kill goombas because why not. Aperture science weighted storage cube delivery tubes automatically deliver another cube when the current cube is destroyed (by the emancipation grill in this case). As usual, the graphics (especially the missing cube-dissolve animation) are unfinished and unpolished. Speed gel + horizontal dispensers + gel now covers a path if it comes with some speed. Graphics still rough, had a long day so sorry about the pretty weak screenshot today. Bouncy gel + gel dispenser. Graphics are really rough, not sure how to make the gel itself look good. Remember when I asked if gifs count as screenshots? Well I'm pretty certain videos do not, but I don't care! Laser detectors that can trigger doors and stuff when they receive a laser input. Also some level design. Lasers from Portal 2, redirectable with portals, stoppable with boxes and other objects. Enemies instantly die, Mario will probably die after a few seconds. Aerial Faith Plates from Portal 2 with 3 different directions (left, up, right). 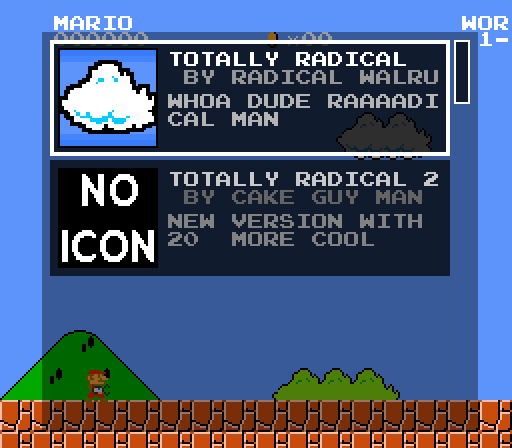 They propel mario, boxes and enemies. 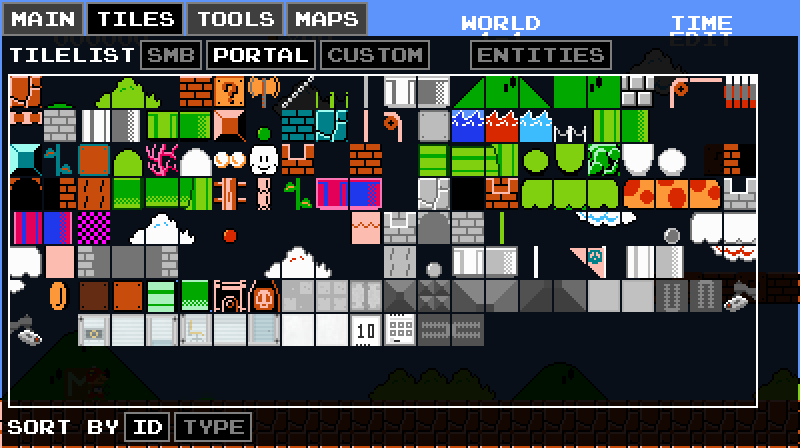 Graphics just placeholder, but I think they look pretty fine already. Bridges that are redirectable with portals. They're having a different impact on the game in a 2D environment. Design wise I'm not sure how to make them stand out as light bridges, since most of their design in Portal 2 is in the surface, so I'm thinking of making them glow.